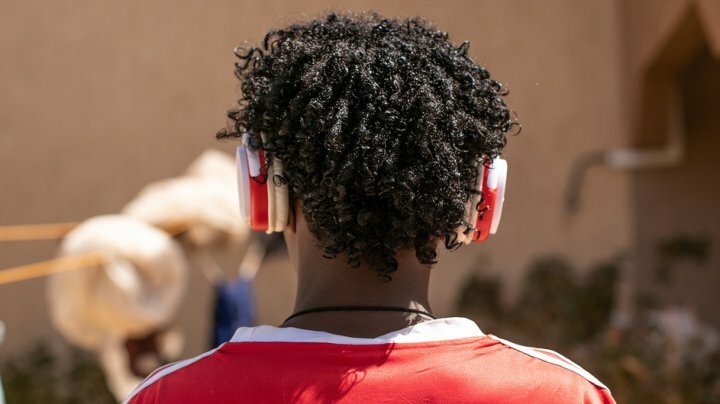 More than one billion ages 12 to 35 risk irreversible hearing loss from exposure to loud sounds such as music played on their smartphone, UN health experts said today (12 Feb) as they unveiled new guidelines to make it safer to do so. The recommendations to prevent deafness and related conditions such as tinnitus, commonly experienced as a ringing sound in your ears, include functions on personal audio devices that monitor how loud and for how long people listen to music. “Over a billion young people are at risk of hearing loss simply by doing what they really enjoy doing a lot, which is listening regularly to music through their headphones over their devices,” said Dr Shelly Chadha, Technical Officer, Prevention of Deafness and Hearing Loss at the World Health Organization (WHO). The joint World Health Organization (WHO) and International Telecommunications Union (ITU) initiative is an attempt to tackle the lack of awareness about what constitutes too much noise, amid data showing that one in two young people listen to unsafe levels of sound through personal audio devices including smartphones, whose use continues to grow globally. Today, hearing loss which is not addressed is estimated to cost the global economy 750 million USD according to WHO. According to the WHO, more than one in 20 people has disabling hearing loss which impacts on their quality of life amounting to 432 million adults and 34 million children. Most sufferers live in poor and middle-income countries, the UN agency noted, adding that by 2050, more than 900 billion people will have significantly impaired hearing. WHO said around half of all cases of hearing loss could be prevented through public health measures. Its recommendations coming ahead of World Hearing Day on Sunday 3 March.